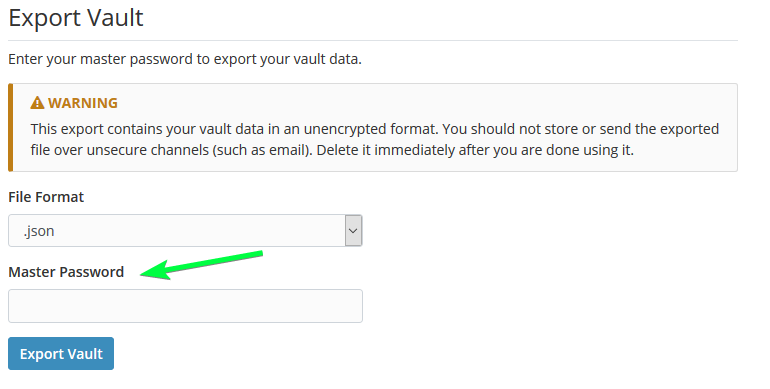 Well, technical reasons aside, consider exporting the vault. Even though all logins are decrypted and can be copied one at a time, to copy all logins at once, Bitwarden asks again for the Master Password. But, I’m with you: it doesn’t need to be a pop-up nor does the verification need to be the Master Password. Anything that confirms my identity is A-OK on certain logins and I’d fully support it. actually, this is also a technical reason… or more accurately a performance one, but I guess it could be partially due to what you said. I also voted for this feature. Like others have mentioned, I would like another verification step before accessing some of my items, credit card numbers and some extra sensitive passwords. I migrated over from LastPass the other day and I miss this feature. I understand that this should be done “properly” and if that makes it so that re-entering the master password is not “proper” enough, then maybe something else. But for me, I am not as worried about hackers as I am worried about regular folks snooping around with a mouse and keyboard. Just thought I would give my $0.02. To clarify, this post has been tagged app:browser, but I would think it would be useful on all platforms. Perhaps not as neccessary on mobile apps, but still a good feature to have when people borrow someone’s phone. Thus, I think this tag should be app:all instead. Any update on this issue? I recently switched to BitWarden after comparing for long time but may have to go back to LastPass just because I am missing this badly. On a side note, BitWarden is awesome and thanks to all the contributors for great work. There is the option to lock the browser extension (or any app) immediately after leaving it. Wouldn’t that solve your problems? Then you have to enter your masterpassword EVERY TIME you want to view or use your passwords. No chance someone could see your passwords on accident because you forgot to lock your computer. I hope this feature will implemented soon! Similar to others, at least initially I’m not concerned about extra in-memory protection for these. I’m mainly looking for extra protection against end users of the system. I’ll lend the system to friends and family for brief usage that doesn’t make sense to swap out to a complete separate account, and I could walk away. I prefer the option that some require a re-prompt. As an addendum though, I also strongly like the feature in last-pass to set a period of time that it does not re-prompt for, so for 5-15 minutes I can log into multiple financial sites without re-prompts. Such a feature however wouldn’t be compatible with more advanced options of a separate salt + key for individual sites, but could maybe just have a separate salt for all re-prompt sites, re-entry generates this alternate key, and then optionally keeps it in memory for the “no re-prompt period”? At minimum though, the end-user protection first would be good, then maybe in future add actual on-system protection against memory attacks? I’ve come from Lastpass, and I’m thinking the same. I’ve just come from Lastpass as well, disappointed to see this is not an option as well. I’ll be great if you develop this feature. I have checked this topic many times. Can somebody from the development team please give some feedback? Is the implementation of this feature in development? When will it be released? It is planned. Not in development at this time.